Chrichton's World: Review Bon Cop Bad Cop 2 (2017): Hilarious and moving. An excellent sequel! 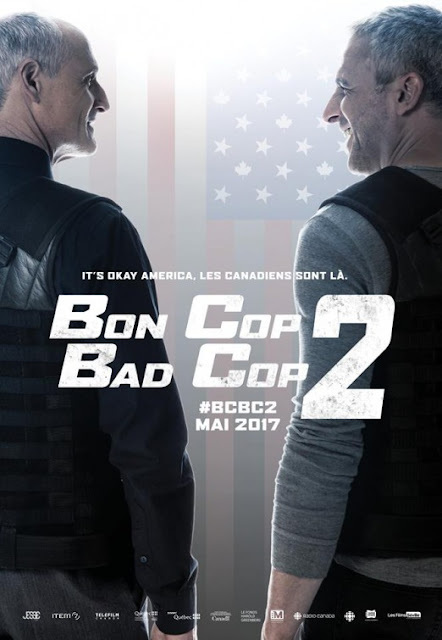 Review Bon Cop Bad Cop 2 (2017): Hilarious and moving. An excellent sequel! 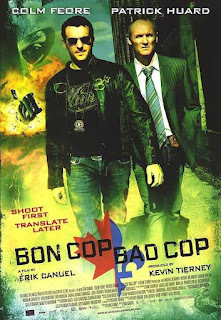 The original Bon Cop Bad Cop was released in 2006. So 11 years is quite some time for a sequel to be released. I sort of remember what the characters were about and why I liked it but it is recommended you watch the original since it is assumed that you have. Still it was easy for me to get into this since the plot and events aren't reliant on what you know from the original. The sequel doesn't waste time to introduce you to the main characters and what the film will focus on. While in the original the two main characters David Bouchard (Patrick Huard ) and Martin Ward (Colm Feore) were at odds against each other now they are much more in tune with each other to get the job done. It is clear that despite the time that has passed and haven't really been in touch with each other that they are good friends. Next to their activities as police officers attention is paid to the characters and their life beyond the job in a way that it is endearing and heartbreaking. But what really surprised me how much I laughed. This buddy cop movie isn't exactly threading new paths creative wise however the comedy elements were incredibly strong. Some characters and events are so zany that you will often will be compelled to laugh. Laugh real hard. I can't tell you how refreshing it was to have a film in the crime genre do that again. It's been a while this happened. I do have to point out that even when I was enjoying the film immensely it did feel like the duration was stretched out a little too much for it's own good. The consequence is that the pacing is somewhat slow. Although the pay off for your patience is rewarded with one hell of a feel good ending and I am sucker for those. Another negative element is the crime plot. It's pretty standard fare and plays out the way you think it will. I wished they would have come up with something a little more original. Overall this was a very enjoyable viewing experience for me. So much so that I want to go back and watch the original again if only to see how it holds up and how it compares to this.